Moral Maze: Kevin Yuill and David Cook on Assisted Suicide - No To Assisted Suicide - UK's campaign to stop assisted suicide. 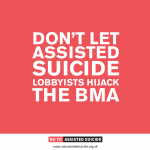 Listen to No To Assisted Suicide spokesperson, Kevin Yuill, discuss assisted suicide ahead of the British Medical Association’s debate on that subject at its Conference next week. He rightly points out the importance of legal protections for vulnerable people, whatever you think about the moral issue of helping someone to end their own life. Fantastic answers as well by Prof. David Cook, and points by Claire Fox and Giles Fraser! 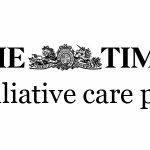 A shame, however, that the BBC decided to use the assisted suicide lobby’s preferred misleading phrase, ‘assisted dying’. Also read Kevin’s comments on what disability activist Liz Carr has called a “disability snuff movie”: Me Before You. You can read his latest piece for spiked, ‘Me Before You: An Infomercial for Assisted Suicide’, and this one for the Daily Telegraph.